I’ve always been a book nerd. When I was younger, I remember going over to friends’ houses for play dates and staying inside to read while they went out to play kickball (yes, really). I even had a little space inside my closet in my childhood bedroom that I crawled into to read my favorite books. I covered it with a sheet and taped a touch light to the wall for a little lighting. So, yeah, bookworm has always been a title that defined me. Luckily (in my opinion) the book obsession continued into adulthood. I read my absolute favorite books yearly: The Outsiders by S. E. Hinton and the Harry Potter series. On top of those, I go through other books like you wouldn’t believe. Reading creates a safe space for me and a place to completely escape the craziness of real life. Plus I love being able to create characters in my mind and building their worlds how I picture them. And yes, I’m one of those people who will refuse to see a movie until I’ve read the book. The Handmaid’s Tale is next in line for my reading list. It’s set in the near future in a world in which the United States is now known as the Republic of Gilead. This book, although published in 1986, has been exploding on the scene over the past few months. It’s also the next book for one of my online book clubs to read – more about that in a bit. Get the book here. Full disclosure: I didn’t actually read this book. I had it read to me through Audible. If you’re not a member of Audible yet, I would highly suggest it. It’s fantastic for long road trips which is exactly what I did with this book. If you’re a history buff or a World War II nerd, this is the book for you! And even if you’re not, you still might enjoy the intricacies of the storyline and the almost poetic writing style. All the Light We Cannot See follows two young people, a blind French girl and a German boy who gets recruited into the Hitler Youth, as they navigate the cruel world of wartime. While long, I would highly recommend this one if you’re looking for something to really stick with you. Get the Book Here. This one probably shouldn’t come as a shocker to you. With the Netflix show experiencing such crazy popularity right now, it seems like a good time to revisit this YA favorite. 13 Reason’s Why was originally published in 2006. I read it in 2010 (multiple times) and have now re-read it (again, multiple times) since the show came out. The book is little more fast-paced than the show and not nearly as brutal, though you’ll probably still want to keep some tissues close by. As I mentioned earlier, I’m a big believer in both reading the book and watching the show/movie, so this is no exception. Get the book here. This is one of those “fluff” books I was talking about. I’m a sucker for a good dystopian society novel, and this series didn’t disappoint. The Selection is sort of along the lines of The Bachelor but with more at stake. Thirty-five girls have a shot at gaining the love of Prince Maxon and breaking out of their social class to live in the lap of luxury. I think I read the entire series over a weekend for two reasons. One, I just couldn’t put it down. And two, they’re pretty quick reads. Check out this series if you’re looking for something to read by the pool this summer! Get the book here. This one is heavy; I’ll be honest. Jodi Picoult is one of my favorite authors because she doesn’t hold back or shy away from tough topics. Nineteen Minutes is the story of a school shooting and the trial that comes afterward, practically tearing a town apart. This is another one of those books that I basically cried my way through, but it was so worth it. Get the book here. On top of being a bookworm, I’m also a restless soul and am always battling my wanderlust. In fact, I’m moving to Ireland in about three weeks! This is the book I’m going to download to read on the plane ride across the pond. A Thousand New Beginnings is about a 26-year-old woman who leaves her steady job and boyfriend to travel alone (hey, that’s me!). I have a feeling that this will be one of those books that will light a fire in your soul! Get the book here. I mentioned earlier my online book club. If you’re struggling to find good books on your own or would just like to read in a group setting, I would highly recommend tracking one down! I’m a member of a couple of book clubs that I found through Facebook groups. They’re easy to find – just type “book club” into the search bar on Facebook, click on “groups” and start joining! Online book clubs are fairly hands-off. You can choose to read the book that the group has chosen (or not!) and then participate in the discussion threads if you’d like. More often than not, I just use my book club for book suggestions and then forget to take part in the discussion. Either way, it’s not a bad idea to join a few clubs and see what happens! 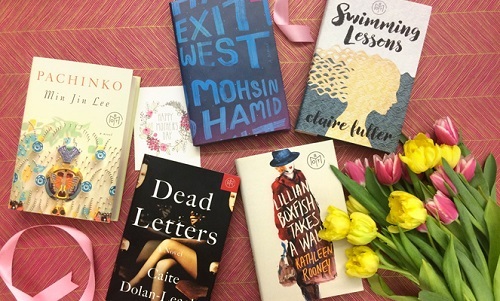 Another good one to join is the subscription box Book of the month club. You can join at the link here. So there you have it, folks! Book recommendations straight from the mouth of a bookworm. Now go forth and read! What other books would you recommend? Leave them in the comments below so I can keep my list going!